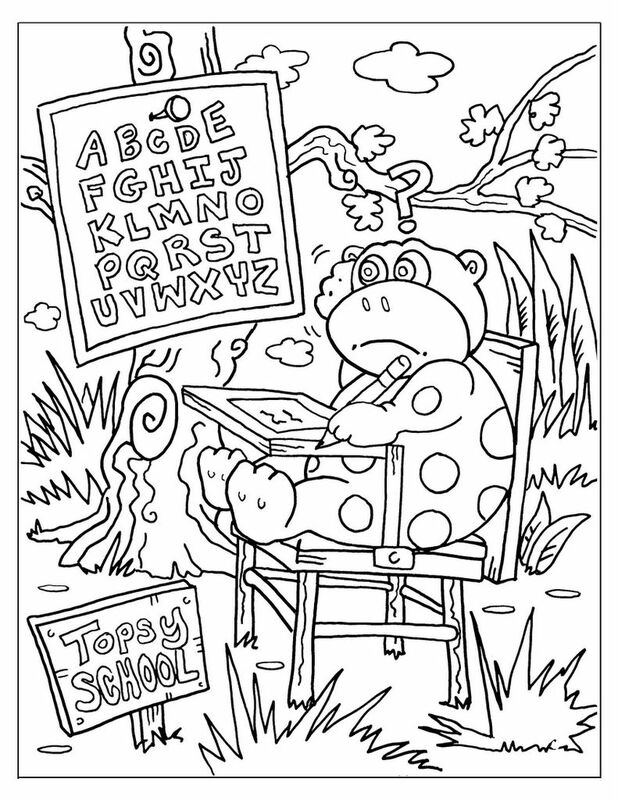 Do you think Sully's friend, Violet, from Topsy Turvy Land looks happy about being in school again? Why do you think her name is Violet? 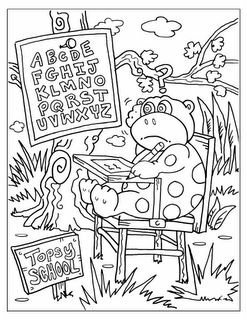 After you've colored this picture by Kevin Scott Collier, scan your masterpiece and send it to me. But remember - ask a parent first! Sully's Topsy Tale Is a Winner!